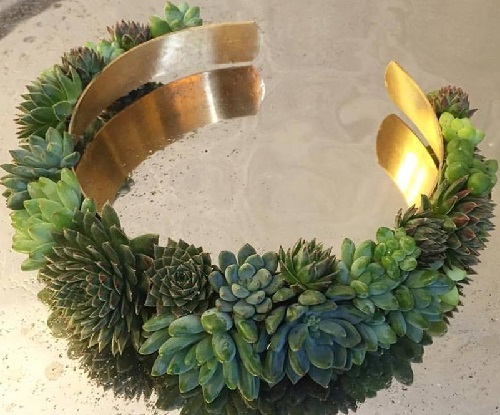 Susan McLeary Living Jewellery is one-of-a-kind bio decorations you probably never heard of. 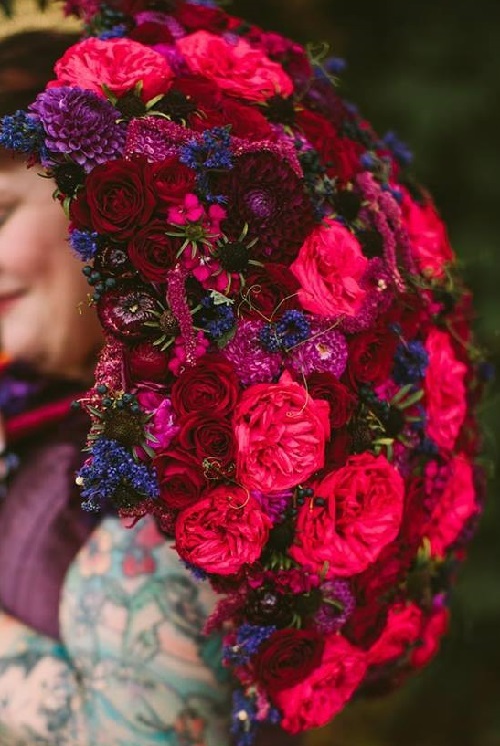 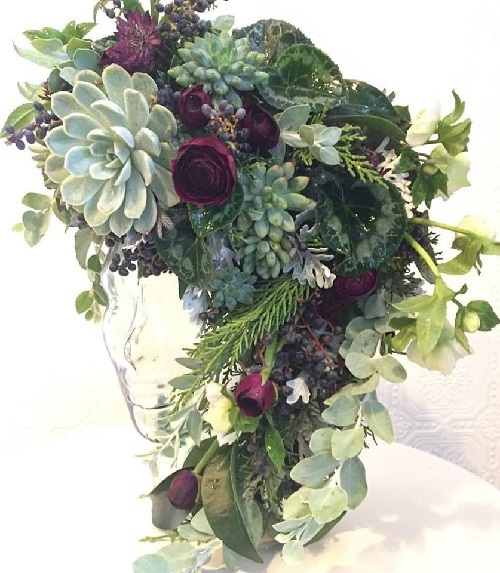 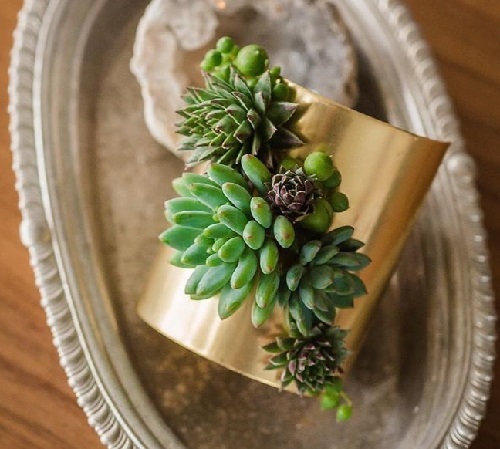 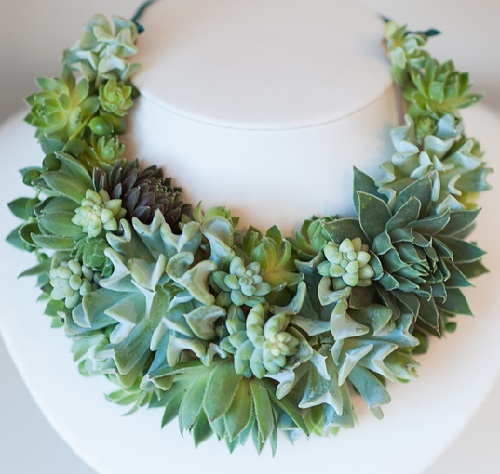 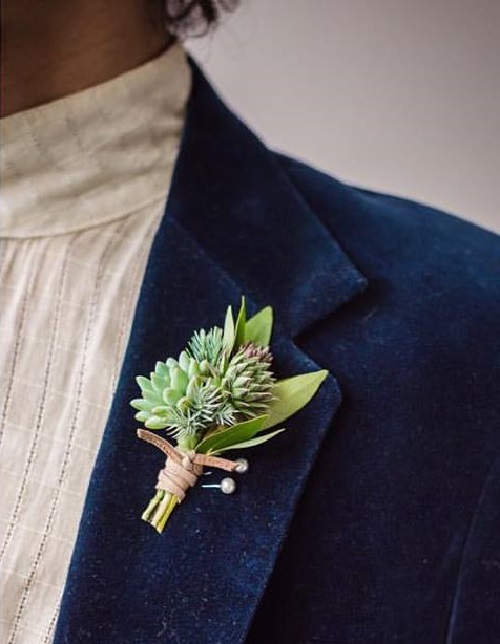 Made by Susan McLeary necklaces, tiaras, bracelets, earrings, rings, or whatever it is, all is made of living flowers and plants, succulents in particularly. 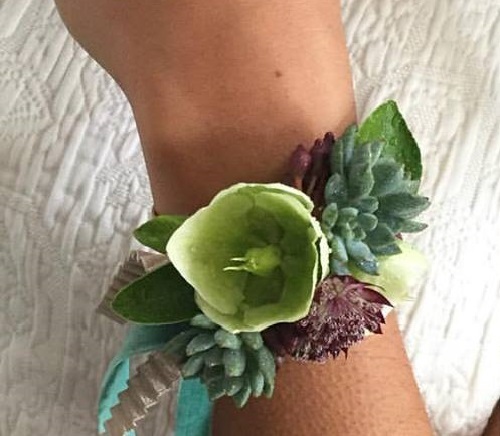 Some of these creative pieces are still growing, becoming bigger each day! 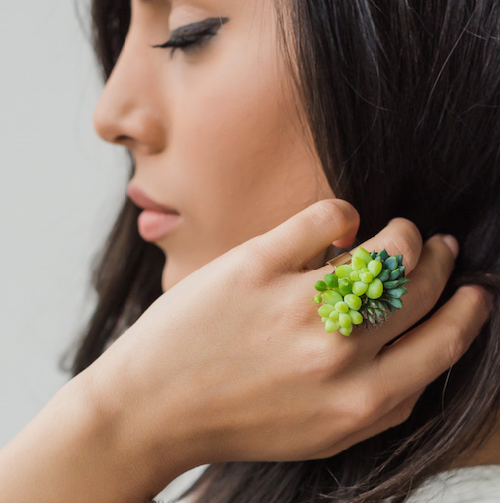 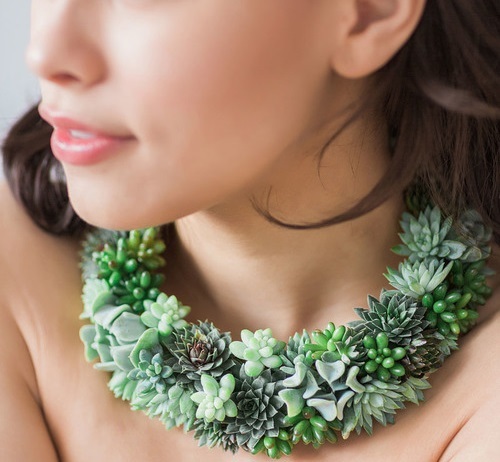 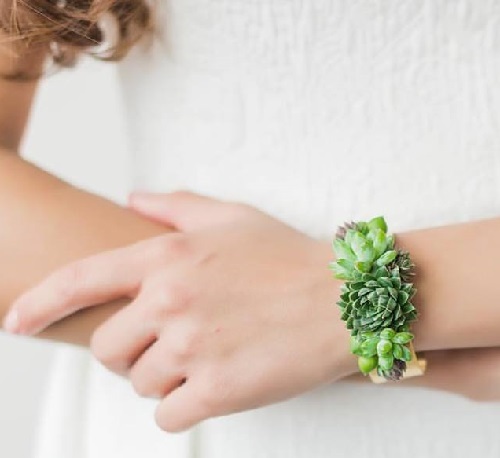 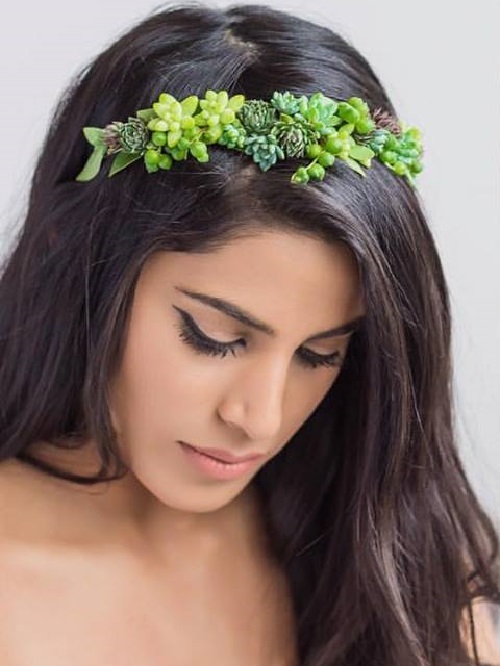 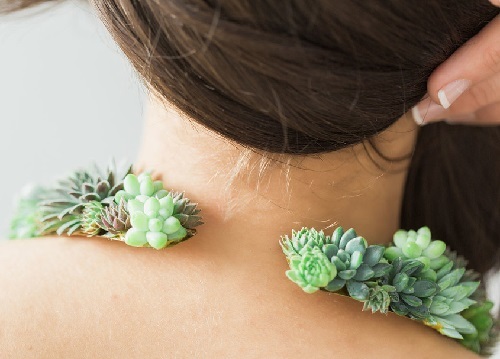 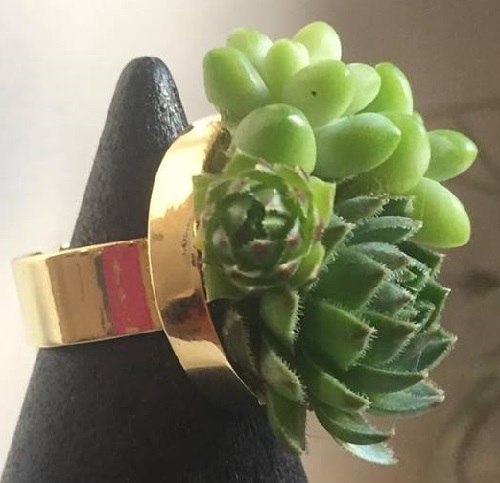 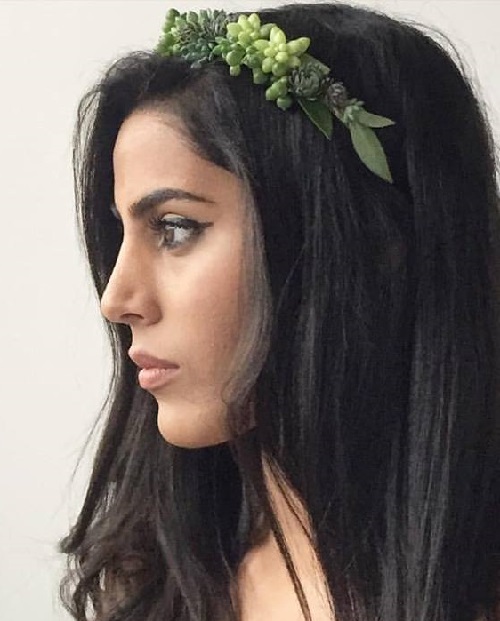 In fact, her succulent jewellery is grown in a greenhouse specifically for the jewelry. 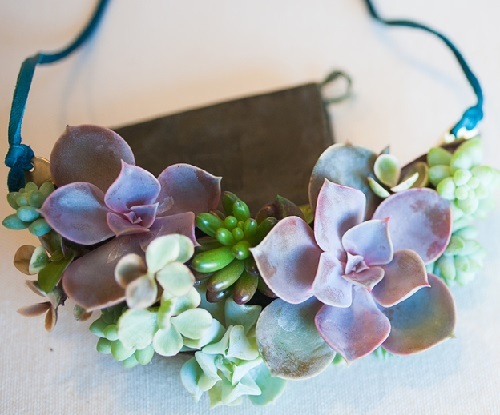 Then they are attached to the accessories and can be worn up to 4 weeks, before they begin growing. 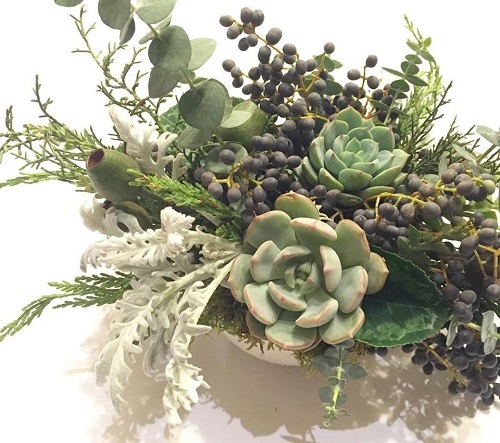 Later, you can separate the plant from the base and put it into the pot. 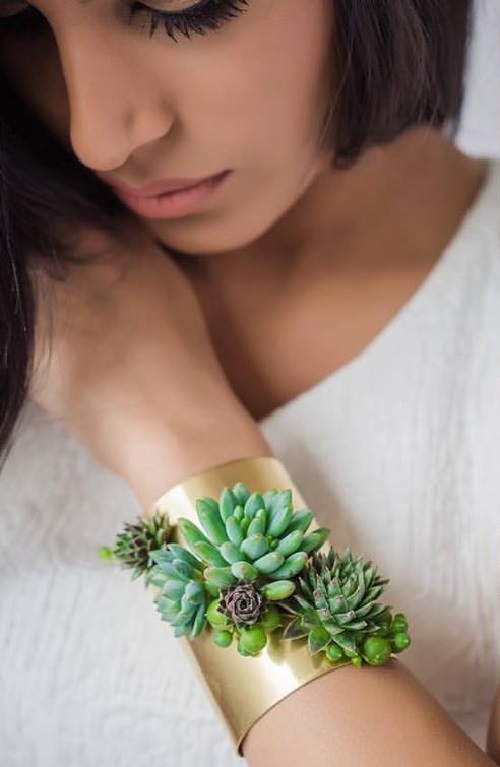 The life of a plant will continue whether it is a jewel or a pot flower, and the jewellery piece can be worn without a plant. 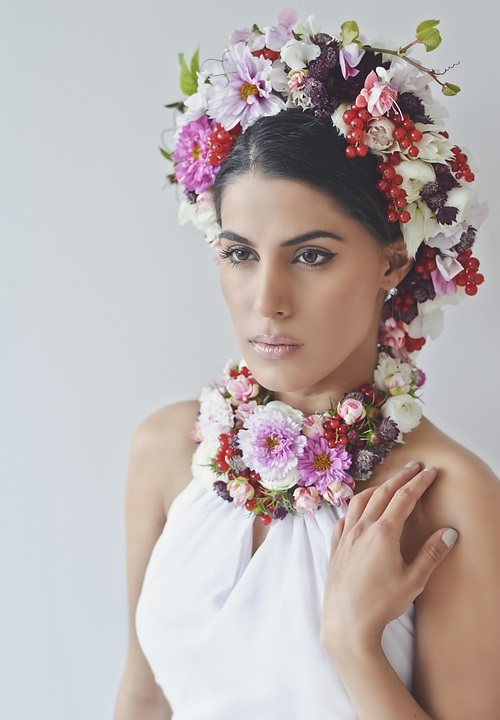 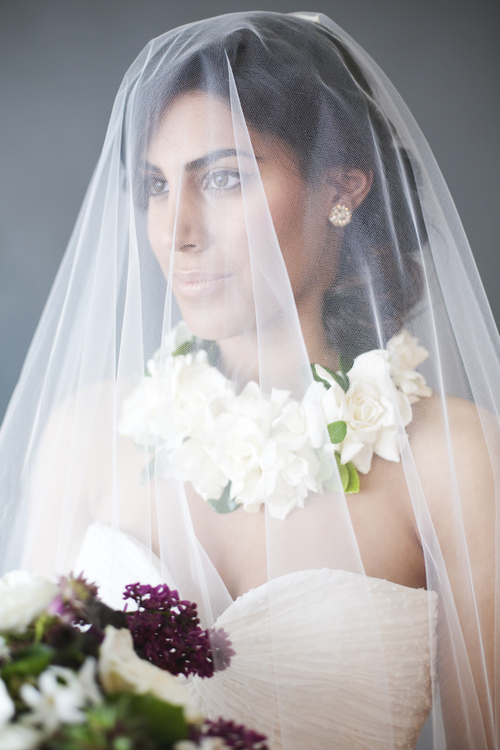 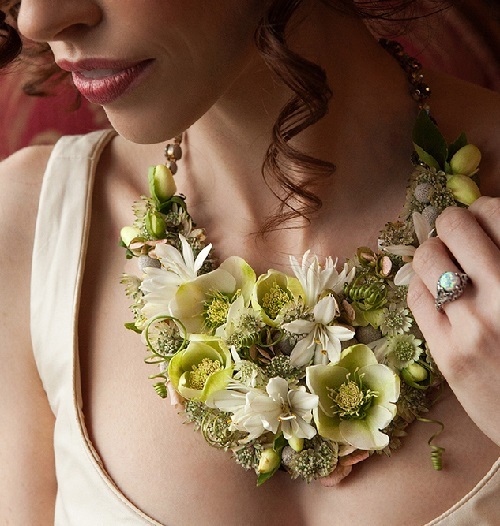 Susan creates her floral jewellery in the design studio “Passion Flower”, located in Ann Arbor, Michigan. 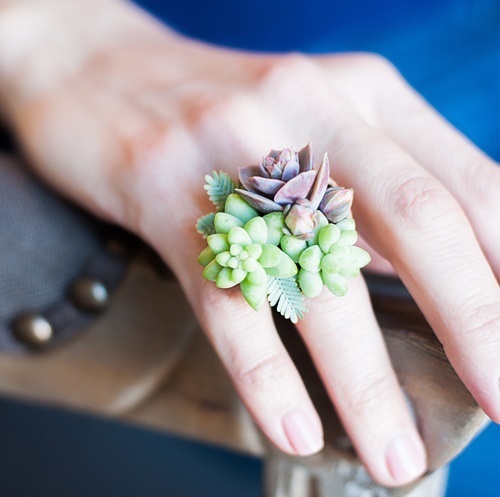 Succulent is any plant with fleshy, thick tissues adapted to water storage. 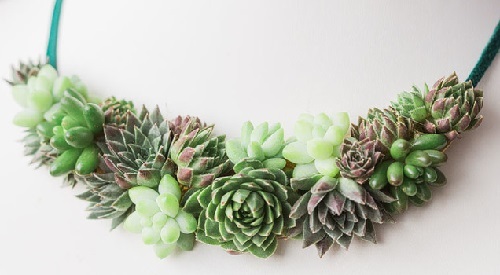 Some succulents (e.g., the cactus) store water only in the stem and have no leaves or very small leaves; others (e.g., Agaves) store water mainly in the leaves. 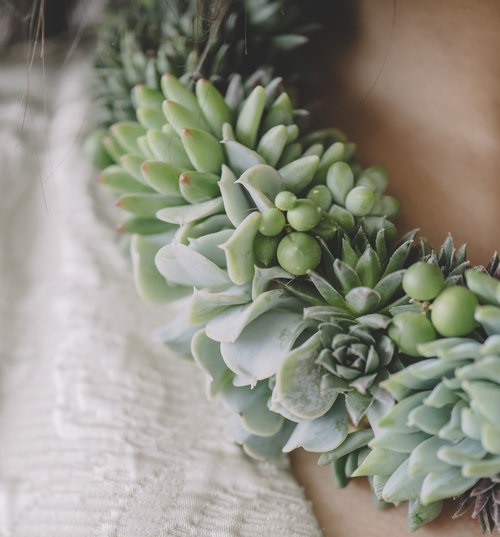 Most have deep or broad root systems and are native to either deserts or regions that have a semiarid season. 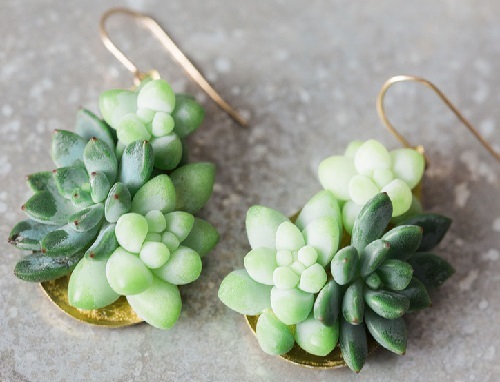 In succulents, the stomata close during the day and open at night—the opposite of the usual pattern—in order to minimize transpiration.